(Newser) – Sometimes the hunter becomes the hunted, as a 72-year-old bow hunter in Wisconsin recently found out when the doe he struck with his arrow apparently had enough. After the man injured her and attempted to track her, she turned on him. "Apparently the man was going through some thick brush and the deer leaped out and went after him," the local sheriff tells the Fond du Lac Reporter. 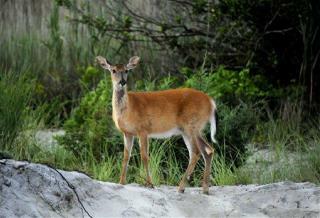 "The doe struck him in the leg with her head." Next on Newser: Did a Steelers Fan Just Tweet-Punk the Media? All the anit hunters posting to this article, what do you say for the article today about the huge amounts of dear being struck by cars? A traditional hunting is in tune with nature and gives animal a fighting chance. They way I see it, if you eat meat, have a backbone to kill an animal.